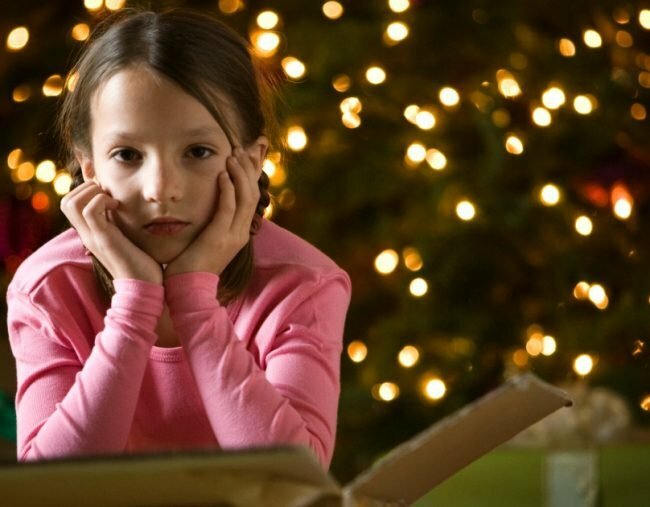 When do you stop buying kids presents? We have the answer. "The day I decided it was time to stop giving my Godchildren presents." I’m standing at a airport service counter, nervously shifting from foot to foot as I wait for an attendant to finally make their way over to me. All the while very aware that the minutes are quickly ticking by and that I am dangerously, perilously close to missing my flight. Standing around at airports waiting to pay surprise excessive baggage fees is not a new experience for me, and the reason behind it is nothing as luxurious as embarking on a exotic holidays and giving in to a shoe buying frenzy. No, it’s because I’m heading to my hometown for a visit and my suitcase is packed to the brim with gifts for my friends’ kids. Stuffed to breaking point with books, toys, art supplies, clothes and an array of other little cute bits and pieces I’ve picked up and squirrelled away for them since I last made the pilgrimage home. LISTEN: Is there anything wrong with second-hand gifts? We discuss, on our podcast for imperfect parents. Just this month, I’ve used up hours of lunch breaks sprinting out to the post office and frantically mailing gifts to friends who are now scattered across Australia, since in a weird twist of fate so many of my Godchildren’s birthdays fall in the space of a few close weeks. And this whole stressful situation has not even taken into account the two weekend visits I paid to friends who reside in the same city as me this week, arriving at their homes with the passenger seat of my car stacked with gift bags containing presents I’d hastily stuffed inside when I realised I’d well and truly run out of time to wrap them properly. You know, Santa Claus gets a whole lot of praise for a man who only works one night a year and has a whole army of (no doubt poorly paid) elves to help him out. This Fairy Godmother, however, works around the clock all year round, and I don’t see any of that praise (or a glass of milk and a plate of biscuits) coming my way. It was in that moment, standing in that packed airport about to miss my flight, that I decided this was my last big present run. This was the farewell tour for this Gifting Godmother, it was time to close up shop. I understand that right now, I must sound like the worst kind of present-giving Grinch, but hear me out. This iron-clad decision was based on a whole lot more than just an ongoing strain on my arms and my wallet, this caper had gotten completely out of hand. And, if truth be told, I have no one to blame but myself. This guy gets all the credit and it&apos;s not fair. Source: Getty. A few of my very closest friends from high school had their first babies at 20 years old. At the time, I was so completely besotted by the fact that the girls I had once helped sneak wine coolers into school discos had now created tiny, real life human beings that I got a little carried away with the shopping. I visited them at least once a week and each time I would arrive with arms heaped with presents. It just felt so lovely to be included in these new little bubbles of family love that I started expressing my emotions via vigorous use of my debit card. As the years went on many more of my friends starting popping out little pink babies and asking me tearfully to be their Godmother, a role I always tearfully accepted. Soon, it felt like once a week I was standing in a church, holding a squirming, squawking child wrapped in a white lace gown and adding another round of birthday and Christmas gifts to my already overflowing list. Now, I am a Godmother to 13 children and very close to a whole other tiny army of my friend&apos;s kids, but now I feel like I need to take out a loan in order to cover myself before Christmas rolls around again. But now I&apos;ve decided it&apos;s time for all of this to come to an end. Many of these kids are so much older now, their ages range from between four years old to 11 years old, and they no longer need a gift attached to every visit and milestone to make it special. Also, I feel like my friends will secretly be happy that this slew of gifts has stopped arriving at their homes. As much as my intentions are good and well placed, I&apos;m now at the point where I&apos;m filling their already crowded houses up with junk, instead of showing my love and devotion. There comes a time when it&apos;s ok to stop showing your Godchildren affection with gifts, and just show it with visits and affection instead. And that time is when they are no longer babies, and you start having meltdowns in airports. My soul, and my wallet, feel lighter already.